You can find several Carnival cruises to Bahamas, because the perfect weather in the Bahamas makes it possible for year-round fun-filled cruise ship visits to the islands. Temperatures in the Bahamas islands remain above 70 degrees all year. In fact, the only weather related the Bahamas issue the islanders have is the Atlantic Hurricane Season from June to November. 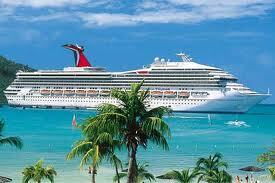 You will not have any trouble booking a Bahamas cruise vacation with Carnival Cruise Lines. Carnival Bahamas cruises leave from several U.S. ports. You are bound to find a cruise sailing from a port near you. 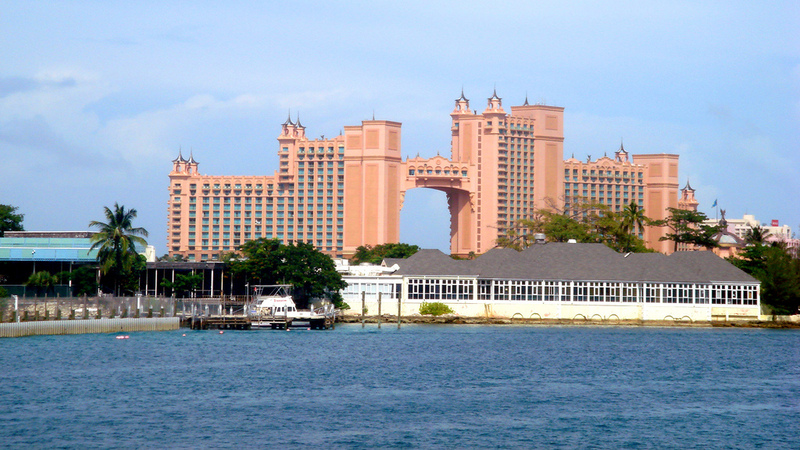 Here is a list of U.S. ports from which you can find Carnival cruises to the Bahamas islands. 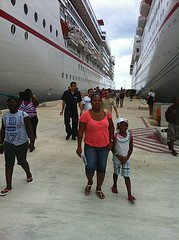 Similarly to other cruises to the Bahamas, Carnival offers itineraries to the main Bahamas island, Nassau. However, unlike some other cruise lines, Carnival also offers cruise sailings to Freeport, and also to Half Moon Cay. Half Moon Cay is a private Bahamas island owned by Holland America Cruises and shared with Carnival Cruise Line. Carnival has many Fun ship options to the Bahamas. Below are the Carnival ships, along with their itineraries, that currently sail to the Bahamas. Note: Ships and itineraries are subject to change, as Carnival Cruise Line re-positions its vessels. 1. 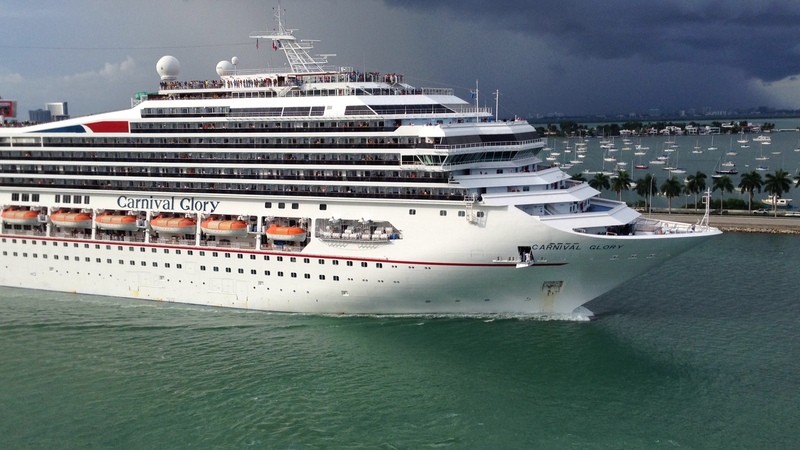 Carnival Pride offers 7 day cruises to Nassau and Freeport, Bahamas, with a stop at Port Canaveral (near Orlando, FL). Some itineraries include Princess Cays. 2. Carnival Ecstasy offers 4 and 5-day cruise sailings to Freeport and Nassau, Bahamas. 3. Carnival Elation offers 4 and 5-day cruise sailings to Freeport and Nassau, Bahamas. 4. Carnival Liberty offers 3-4 day cruise sailings to the Bahamas. 5. Carnival Sunshine offers limited 5-day cruises to Nassau, Freeport and Half Moon Cay, Bahamas. 6. Carnival Sensation and Victory offer 2-5 day cruise sailings to the Bahamas, with some calls in Grand Turk. 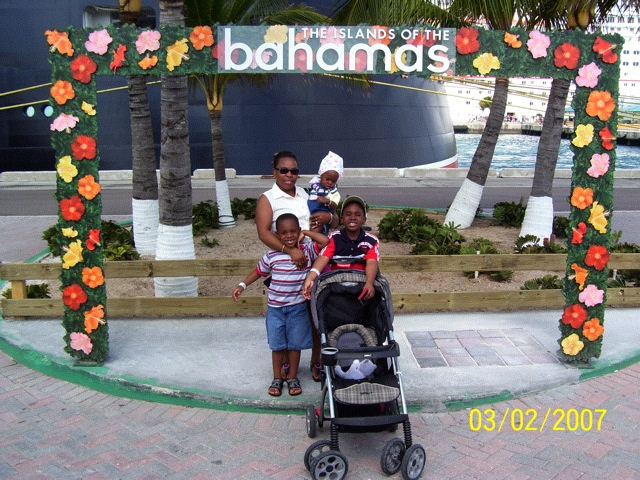 With so many Carnival cruise sailings to the Bahamas, your family will find it easy to plan for and get going on their Bahamas cruise vacation. So, have you decided which Carnival cruise itinerary you would like to try? Which combination of Bahamas islands do you want to visit? Go ahead and click this Petes Travel Center link to search for cruises.